The last 3 weeks have been fun. We've "Officially" started work and begun to understand the nuances of Chalk Creek. Joan works in the office and general store while I work outside in the campground. Our bosses Lars and Tamara have owned Chalk Creek for 2 years and have been steadily making improvements throughout. As the season ended last year they began remodeling the small office attached to a garage-turned-store and turned it into a single larger room. They replaced the garage doors with glass sliding doors; added upgraded shelving and new paint; built a new 2-station front desk; and begun looking for ways to become more self-sufficient. They have purchased their own ice machine and started bagging their own ice for sale. And they are collecting and aging wood that they will use as firewood for sale next season. 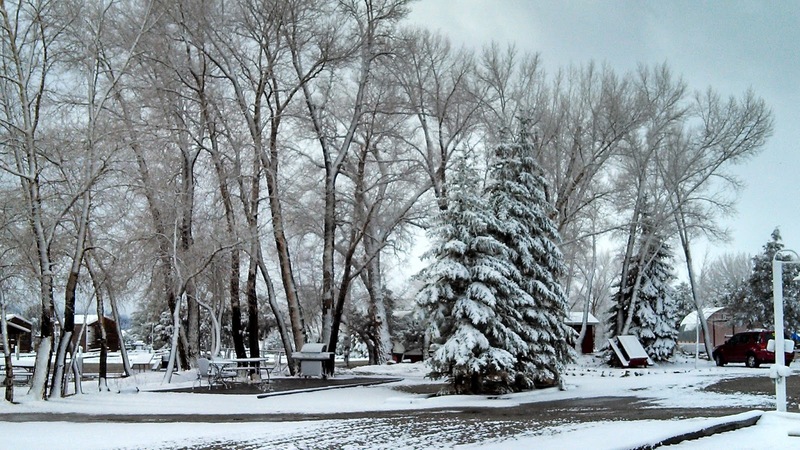 The campground has 22 tent sites, 70+ RV sites and 5-6 overflow sites. Last weekend was Memorial Day holiday and the CG was booked full. We already had 10-12 campers prior to the weekend, 8 check-ins scheduled Thursday and 63 check-ins Friday. The 63 equates to 1 check-in every 6 minutes for 5 hours. Needless to say Friday was very busy. We met 2 young men from Europe who were bicycling from New York to San Francisco; and a couple from Australia who had borrowed their parents RV to travel while they were visiting the US; trainers and students from a white water rafting school in New Mexico (where the water levels are so low they had to travel here to find adequate white water); kayakers, bikers, hikers, ATV and 4-wheel off roaders, dirt bikers and 32 family members camping in the group site. Even a couple traveling on motorcycles with their young son riding in a side car. We joined in the Pot Luck dinner Thursday; played Candy Bar Bingo Saturday and helped with the Ducky Races on Sunday. Lots of fun. 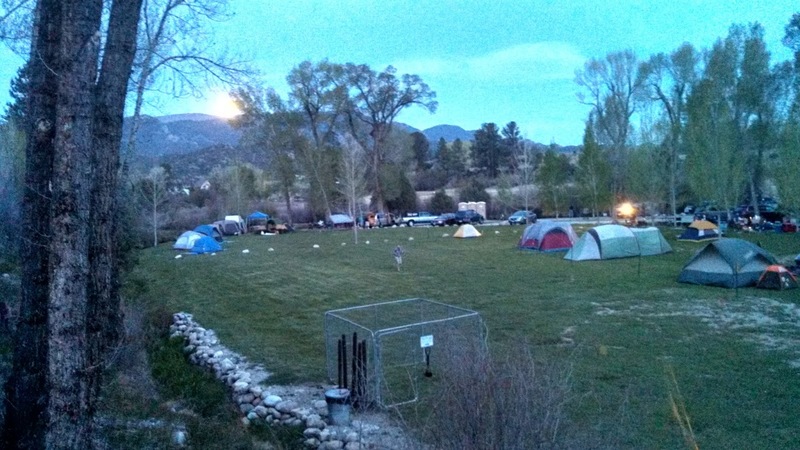 We've had campers sleeping in their car, 2-person tents and large group tents with separate cooking/eating rooms, small pop-up trailers, pull behind travel trailers from 12' - 30', 5th wheels up to 35', a 43' tag axle MH, even a jeep with a roof mounted tent. On our days off we've taken a couple of off road trails and continued to explore the area. 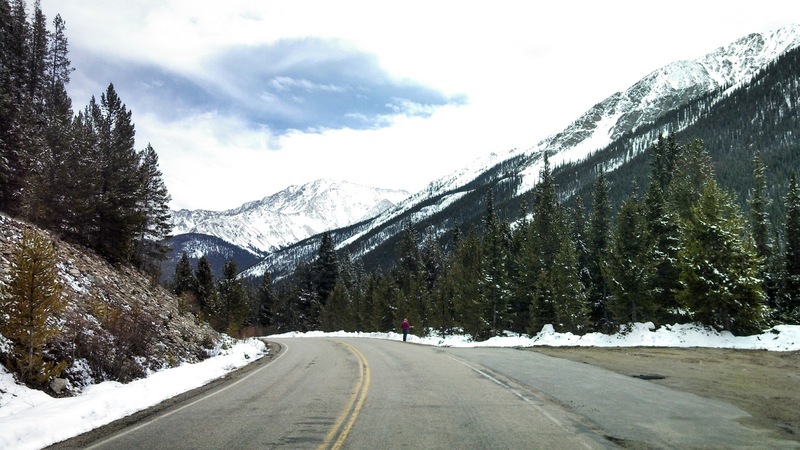 2 of the roads through high mountain passes opened; Cottonwood and Independence Pass. 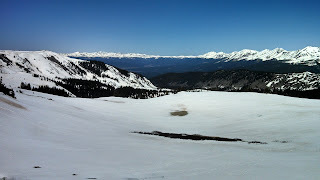 We drove up to Cottonwood Pass last week. 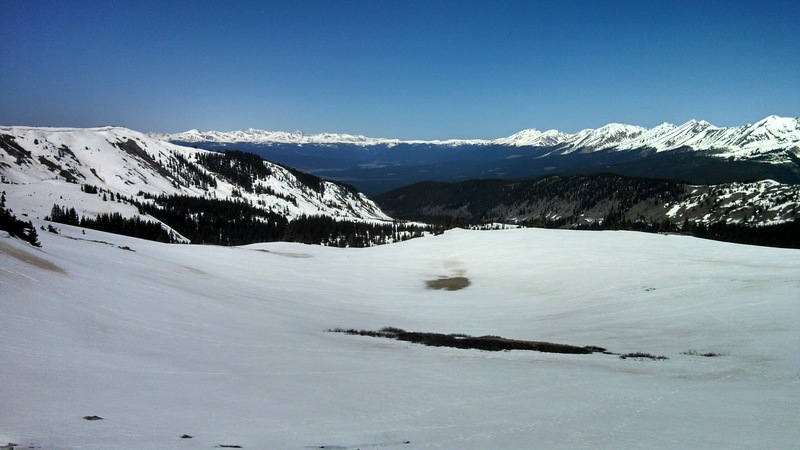 The continental divide is at the top at 12,126' and the view is spectacular. The temps changed from 75 in town to 46 at the top. 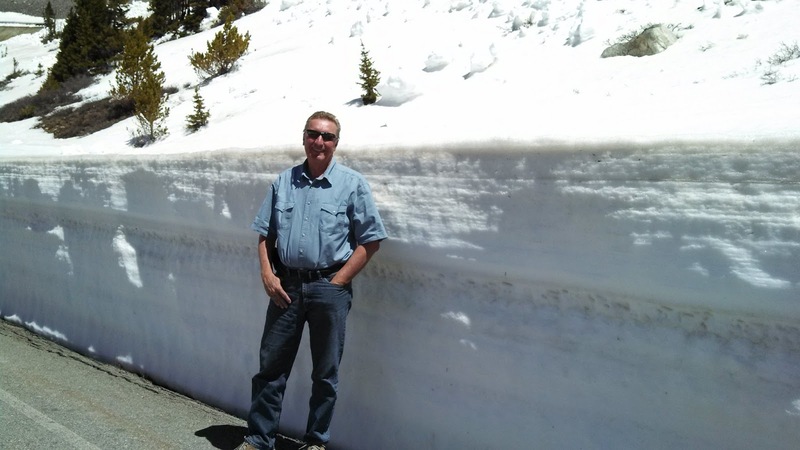 And the snow had to be plowed to get the pass open. We had the opportunity to visit the Air Force Academy in Colorado Springs and watch the Wounded Warrior Olympics. My sister's son-in-law Frank was competing in several events. We watched Archery where he was participating in Compound Bow. On the final flight with 3 arrows left Frank was 1 point behind. He shot a 29 (of a possible 30) to tie and force a 1 arrow shoot off for the Gold Medal. Closest to center X would win. Frank shot a dead center X and took Gold! Something really special about Frank.....he shoots with a older hunting bow while his competition shoots with competition built compound bows costing $5K and up. He also won Bronze in Pistol. Yeah! Go Army! We're back! We got our PC back from Dell Monday and I've spent the last few days transferring our pics/files back onto the hard drive; re-installing Windows Office, Adobe, AVG; insuring the 132 Windows updates have all been completed as well as getting the laptop setup the way we had it before the hard drive and OS corrupted. 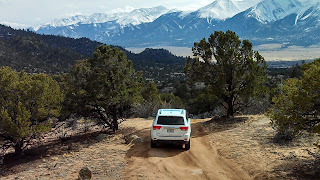 Last week we drove into Colorado Springs to visit with our friends Jean and Larry. Once there we took a tour of the Garden of the Gods CG where they're working this summer. 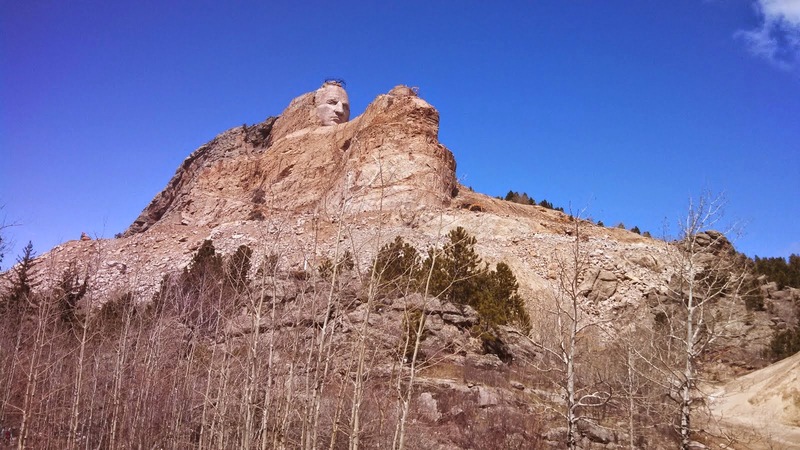 It's just a couple of blocks from Garden of the Gods Park. 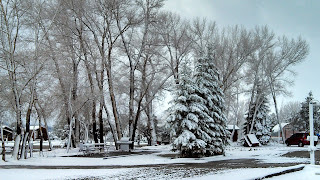 Then we all went into Manitoba Springs for lunch before driving through Garden of Gods. On the way home Joan started to feel bad with a headache and upset stomach. Once home she didn't feel any better and we eventually decided that she was suffering from a delayed case of altitude sickness. We're both trying to ensure we're taking care of ourselves and after testing my blood pressure I noticed it was fairly high. Communicating with my doctor back in Florida he was concerned that the altitude could be impacting my BP and suggested I see a local physician. Which I did. Come to find out the BP medication I was taking is not as effective at high altitude. The doctor prescribed a different medication while I'm here. Joan and I are both feeling better and expecting a great summer. Last Saturday we went on a hike with Sandi and Joe, fellow workampers and geocaching enthusiasts. There was a new cache on the trail that had just been placed and had not yet been found. We followed Sandi's GPS and stopped near the coordinates of the cache. We all started searching and within a few minutes Joan was FTF.....First to Find the new cache, a small prescription bottle hidden under a tree within a pile of rocks. We marked the register as FTF, returned it to the bottle and restored the cache to its hiding place. ...... and 2 were 'ammo' boxes hidden in rocks and under old tree limbs. The ammo boxes contained numerous items such as whistles, small toys, tokens and play money. 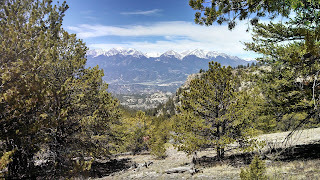 Sunday we took a drive to Canon City (pronounced Canyon).The drive follows the Arkansas river for over 50 miles and is quite scenic. It passes Royal Gorge and one of the highest suspension bridges in the US. 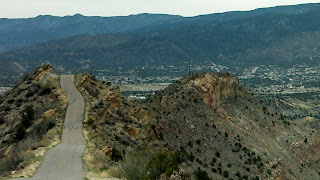 Just before we got to Canon City we saw a sign for Skyline Drive. 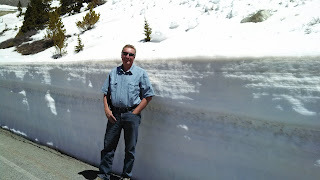 Our friends Jim and Debbie rode Skyline Drive 4 years ago when we were in Colorado on our motorcycle vacation. Skyline is a 3-mile single lane one-way road that was built along the crest of a very narrow mountain ridge. A little research discovered that the road was built by prisoners from one of the several prisons located near Canon City. 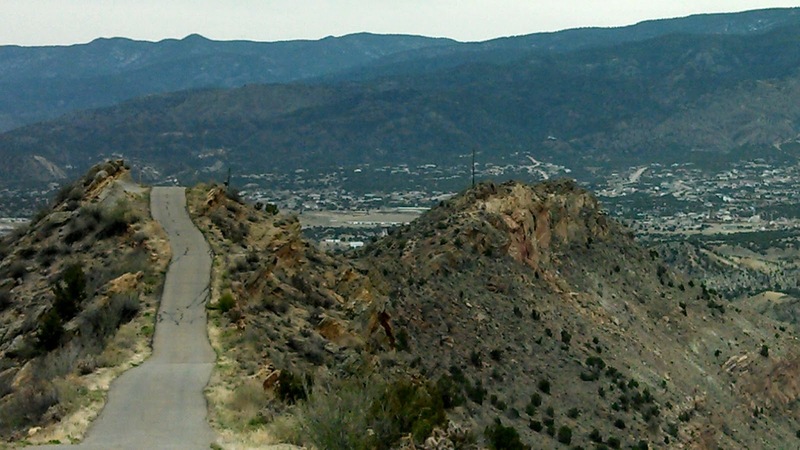 At the top the road is bordered by severe drop offs on both sides and you are provided a great view of Canon City. 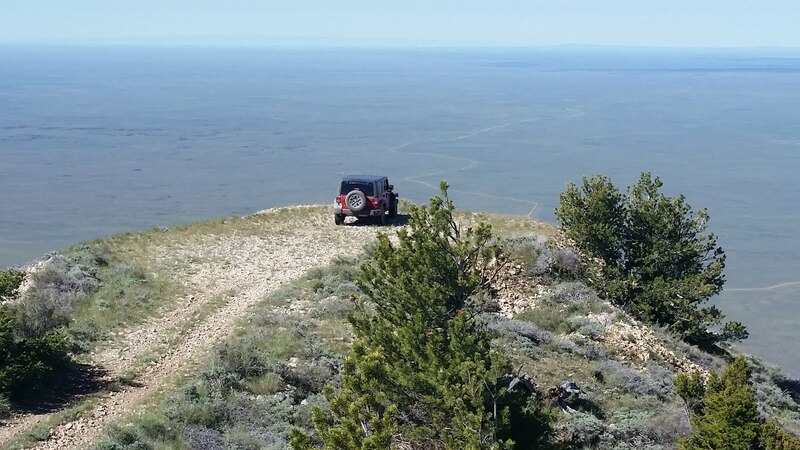 Also near the top is a pull-off where you can see dinosaur tracks left in the stone. When Joan and I first went full-time in the MH we knew we wanted better chairs than what we had. We started off with a small flexsteel recliner that came with the MH when we bought it and a couple of IKEA Poang chairs. 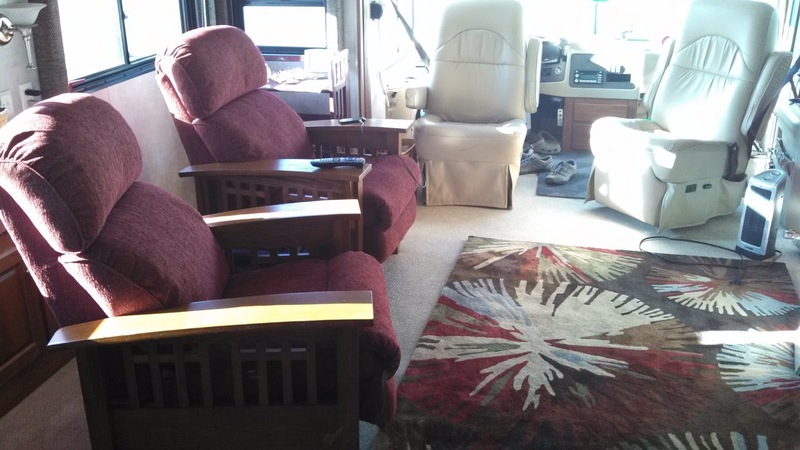 We decided now was the time to upgrade so we visited a local store and found 2 matching Lazy Boy reclining chairs. We negotiated price a little and made the deal including a small room rug to help coordinate colors in the MH. What do you think? 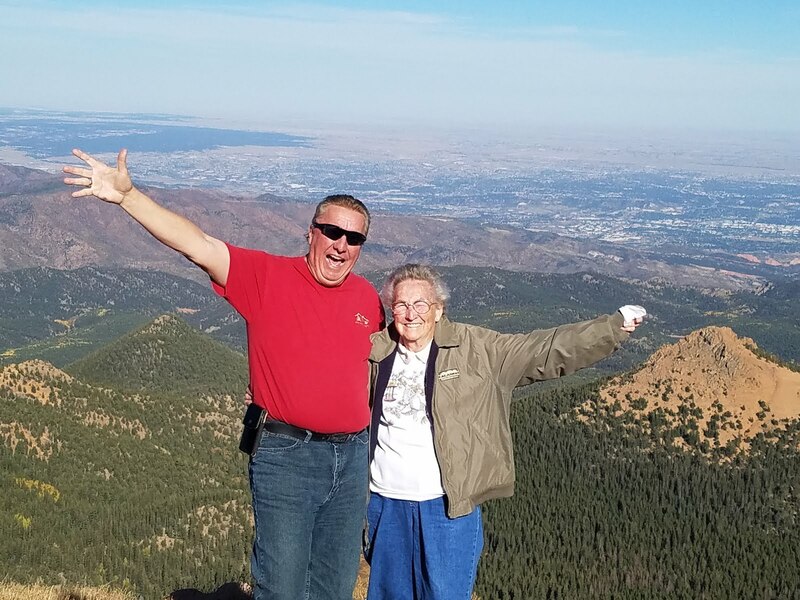 Yesterday while catching up on our reading we found out that Howard and Linda of RV-Dreams were staying about 20 minutes away in Salida on their way to Colorado Springs. After following their blog for a couple of years we got the idea to go full-time. We emailed them and set up a lunch date. We met at a brewery called Amica's and got to spend about an hour and a half sharing stories and catching up with them. We've been in Nathrop just under a month and it's snowed 6 times. Nothing serious, just a blanketing snow on the cars and the ground until the sun shines for a couple of hours and it's all gone. The valley we're in, Brown's Canyon is about 35 miles long and is bounded by over 2 dozen 11,000' and 8 14,000' peaks of the Sawatch Range in the Rocky Mountains. 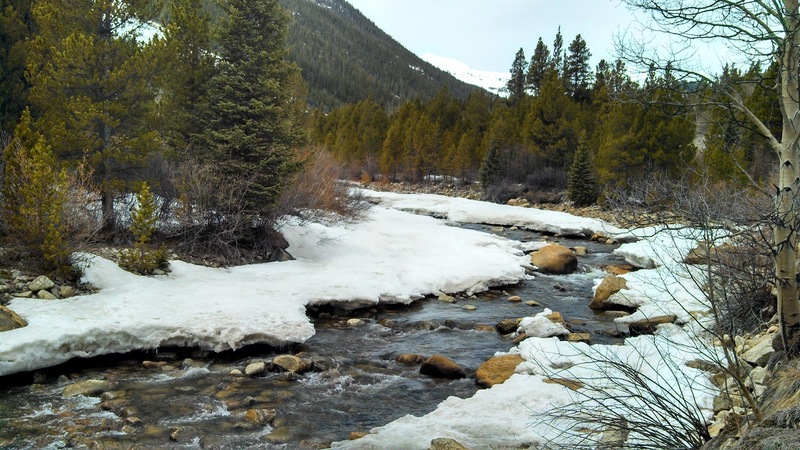 Several of the mountains in the valley are known as the Collegiate Peaks; Yale, Princeton, Harvard, Oxford just to name a few. All of these are still covered with snow and make a very scenic backdrop to see every day.